One of our most exciting products, the MReyetracking system works in conjunction with our VisuaStim Digital Glasses to enable tracking of patient eye movement during paradigm delivery. 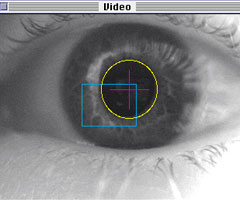 The system is supported by advanced ViewPoint software from Arrington Research. The applications for the device are limited by your imagination: Use it for tracking patient responses or eye movements - even allow your subject to draw with their eyes. 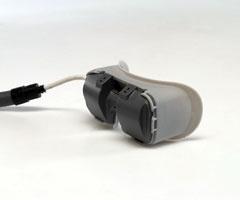 The compact housing mounts completely inside the VisuaStim Digital glasses, if desired. A standalone version is also available, providing unprecedented comfort and ease-of-use, at an affordable cost.